A frisky horse attacked a police officer at a Dublin horse fair on Monday. The spirited horse reacted badly when the officer stepped into check the horse’s electronic tag at the Smithfield Horse Fair. 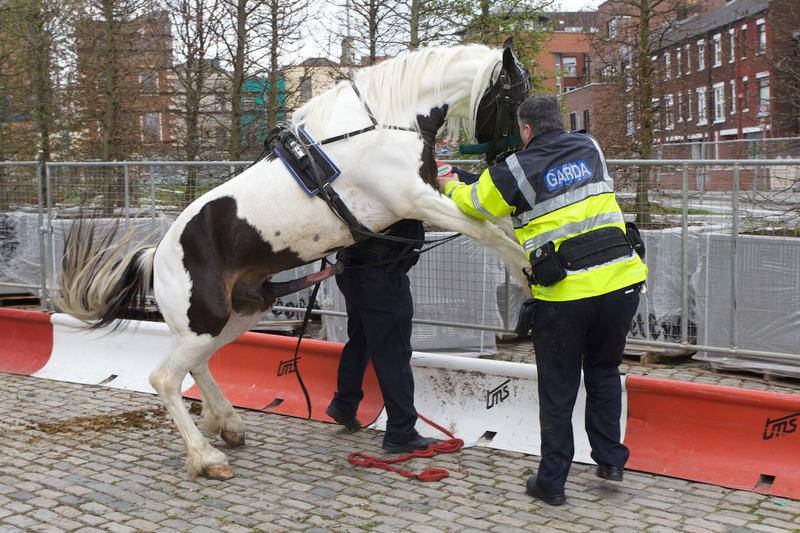 Images on Broadsheet.ie captured by Mark Henderson show the officer being thrown to the ground by the large well endowed stallion. As another police officer stepped into help his colleague, the first officer was knocked to the ground and hit over the head with the horse’s baby maker.